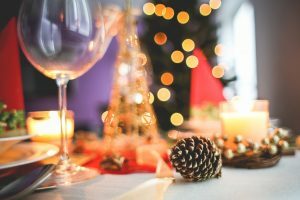 Everyone loves a fun holiday party – but what they don’t like is the clean up afterward. Being the host means at the end of your fete, you’re stuck with the detritus of a very fun – albeit messy – evening. Half-empty cups, spills, sticky counters, and leftover food. It’s enough to make you vow to only be a party guest from now on, and never the host! Well, not to worry. 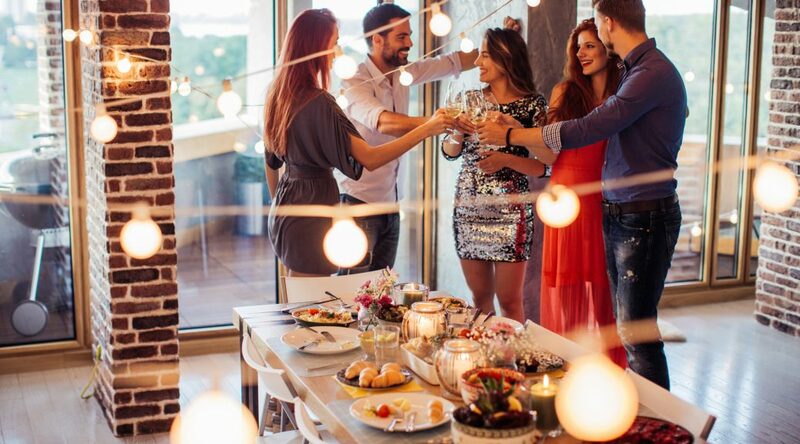 For next year (or parties coming up later this year), we’ve found some clever ways to not only better prepare for the party you do have, but some ingenious ways to sanely deal with the mess left behind. If your party is meant to be casual and laid-back, consider plastic: plastic cups, plastic cutlery, plastic serving utensils. At the end of the evening, you can chunk them into your recycling bin and save the few gallons of water you’d normally use to wash them. And in other “plastic saves the day” ideas, have plenty of plastic take-away containers on hand so you can send guests home with leftovers. This means less wrapping up and storing mini cheeseballs and half-eaten dip in your fridge. Get your place sparkling before guests arrive! We suggest vacuuming with a machine that has a double-sealed HEPA filter means whatever dirt and debris you extract from your floors and carpets, stays in your machine — it doesn’t get blown back out into the air or your home. Double-line trash receptacles with two liners. Half-filled drinks often get tossed into the trash, liquid and all. Guard against leaks and spills that you’ll have to scrub out of your trashcan later. Making snacks yourself? Line your cookie sheets and roasting pans with foil for easier clean up. Use tablecloths and coasters. You’ll thank yourself later, when all you have to do is throw the cloths in the washing machine, and your wood tables are just as pretty and water stain-free. Start with an empty dishwasher. Load it up during and after the party, then turn it on before you go to bed and boom! Clean dishes in the morning. Do a walk-through of your home. Be on the lookout for stains, crumbs, or forgotten glasses. If you see a stain, you can tackle it immediately. Lurking odors from cooking, the fireplace or messy guests? Covering it with artificial fragrances doesn’t really work — and it can make asthma and allergy symptoms worse for sufferers. Try using the power of technology. Certain air purifiers not only combat stale odors but remove allergens and contaminants from the air. Didn’t use coasters? Tsk tsk. But don’t fret – there’s an easy solution. Rub full-fat mayo onto the water ring, and let sit for an hour. Wipe away and your stain should be gone. Grease stains are the worst. Rub a lemon onto the stain and let it sit overnight. Then launder as usual. Used your nice crystal and now have hard water and lipstick stains all over them? Add ½ cup of white vinegar to a sink full of hot, soapy water. Let soak overnight. Stains should wipe away easily. Stuck on food? Put a dryer sheet into your gunked-up pan and fill with warm water. Let soak overnight. The fabric softener will help release the stuck-on food particles for easy clean up the next day.